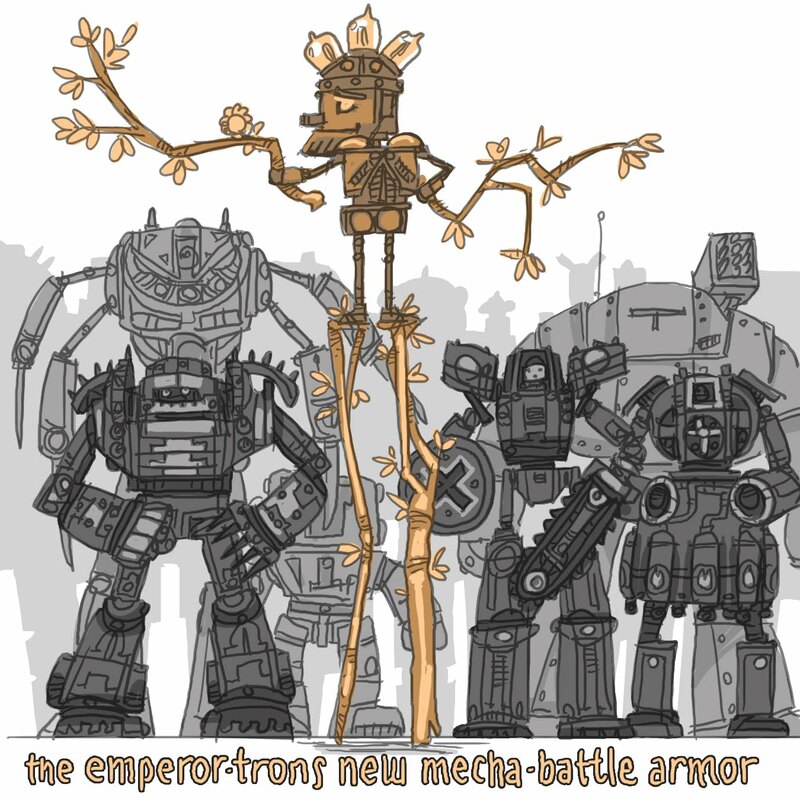 The story of The Emperor's New Clothes told with giant killer robots. The emperor should offer to fight the other robots but all of them are afraid because of his new optical camouflage armor. Then at the end the little robot takes him on and wins. Chris, you must be reading my mail. That's pretty darn close to my manuscript. MUCH better than the original...no one is actually naked. That always disturbed me...a fat little emperor...naked. Blech! There is nothing cooler than bringing a stick to a gun fight.